There are more than 3000 existing species of Peperomia recorded in the world. This number does not even include the cultivars (a plant variety that has been produced in cultivation by selective breeding.) Peperomia’s vary considerably in appearance – they can be upright and fleshy, or threadlike and trailing. Their leaves may be smooth and glossy or coarsely textured. Their leaf shape can be rounded, heart shaped, or even lance shaped. You can find this plant in countless color combinations, including deep green leaves on red stems, green leaves with wide creamy colored edges, or some even have silver and bronze markings – nonetheless they are all fascinating! 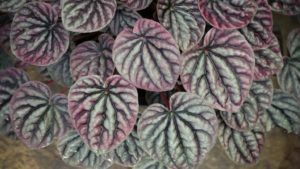 While the appearance of different species varies greatly, Peperomia are generally compact plants, used for their ornamental foliage and all require similar care. This makes them an excellent plant to group in an arrangement – you can create a display with an exciting variety of colors an textures that is straight forward to maintain. Peperomias call for moderate to bright indirect sunlight and have the ability to thrive on fluorescent lighting. Their ability to thrive on fluorescent lighting makes them an excellent interior plant for the home or office. Soil should be just moist, and allowed to dry down half way before watering again. 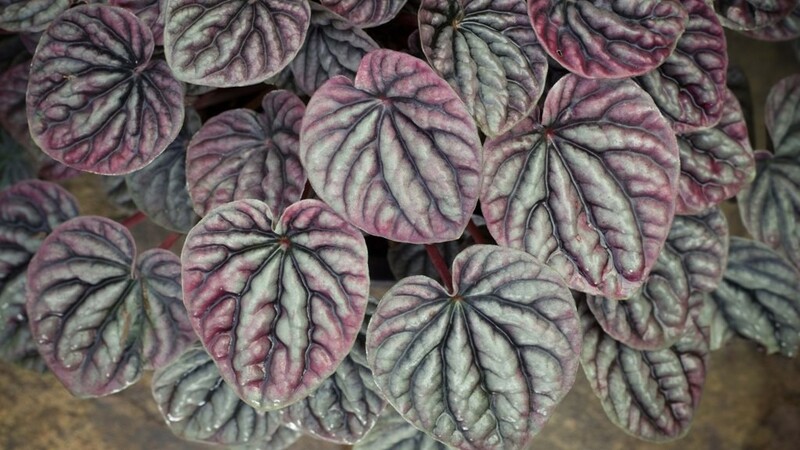 Peperomias are often killed with kindness… blackened lower leaves and stems, and corky swellings on the undersides of the leaves indicates over watering. It is better to err on the side of too little water, rather than too much. Sometimes signs of over watering can be difficult to identify. That is one of the benefits of having a professional manage yours plants – they have been trained to see subtle abnormalities in plant appearance/behavior and react to them appropriately. A few of our favorite Peperomias include: Peperomia clusiifolia, Peperomia magnoliifolia, Peperomia caperata, and Peperomia obtusifolia.